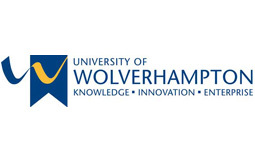 Recognised as one of the most entrepreneurial, business-facing universities in the region, the University of Wolverhampton has brought its business support service to the heart of Hereford’s Enterprise Zone at Skylon Park. Hereford Business Solutions Centre is run by the team responsible for the highly successful Wolverhampton Business Solutions Centre, based at the University of Wolverhampton Science Park. The Centre is working collaboratively with key business organisations in the region through the Marches Growth Hub, with the hub’s Herefordshire team based at the Centre in Skylon Park. The Centre is also establishing a business network for companies within the Enterprise Zone and will be providing a range of skills and technology development workshops. For businesses looking for a base there is an enterprise hub, with hot-desking facilities, incubation space and breakout areas all at highly competitive rates. There is dedicated space within the Centre to hire for meetings and events including a contemporary boardroom and a flexible, large seminar room.